Football in Sheffield, like so other major cities in the UK, is divided by colour. One half of the city sports red, the other, blue. 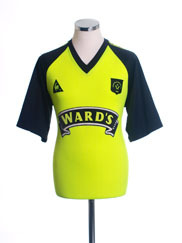 The only common ground between Sheffield’s football fashion is, of course, the stripes. 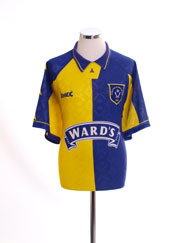 United’s first kit on their formation was actually white shirts and navy shorts and socks, but the side adopted stripes the following season. 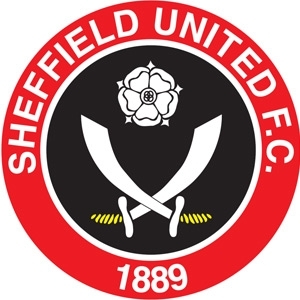 As Sheffield Wednesday were already established in the city United selected red and white as a natural alternative to their rival’s blue and white. 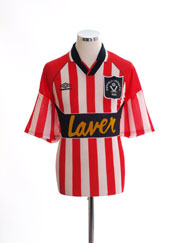 Rather than sporting stripes of equal width though, the club’s original shirts were predominantly white with thinner red stripes and appropriately it was a similar design that was resurrected by Umbro to coincide with the club’s centenary season in 1989. Black shorts and socks were introduced in 1904 and the traditional United strip was born. 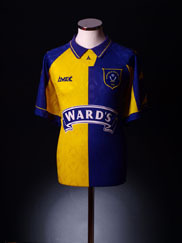 The club’s stripes remained pretty consistent until the 1970s/1980s (now there’s a surprise) when designers began to experiment more with football kits. 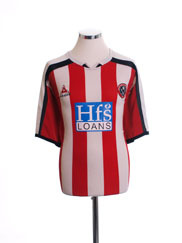 The more radical interpretations of the Blades’ stripes came with Hobott in 1979 who launched a shirt featuring a broad red central panel with a cluster of thin red and black stripes on either side, and the infamous and much derided ‘diamond’ shirt produced by Avec and worn by the club in 1995-96.Cantors became the side’s first sponsor in 1979 but it is timber merchants Laver (run by then-Blades director and later club president Alan Laver) who have the honour of the club’s longest serving and most recognisable shirt sponsor. 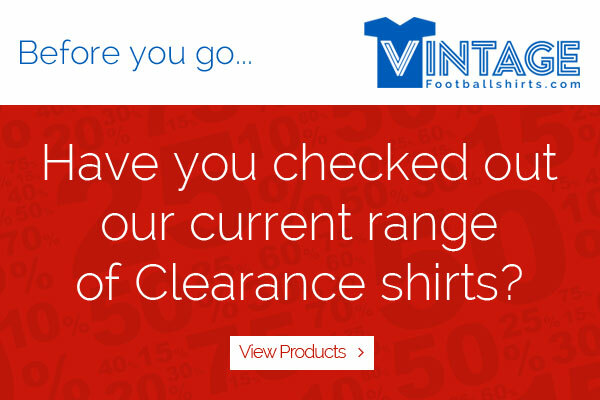 They appeared on the famous red and white stripes for a decade from 1985 until 1995.